Law enforcement and social media companies debate on security and privacy. 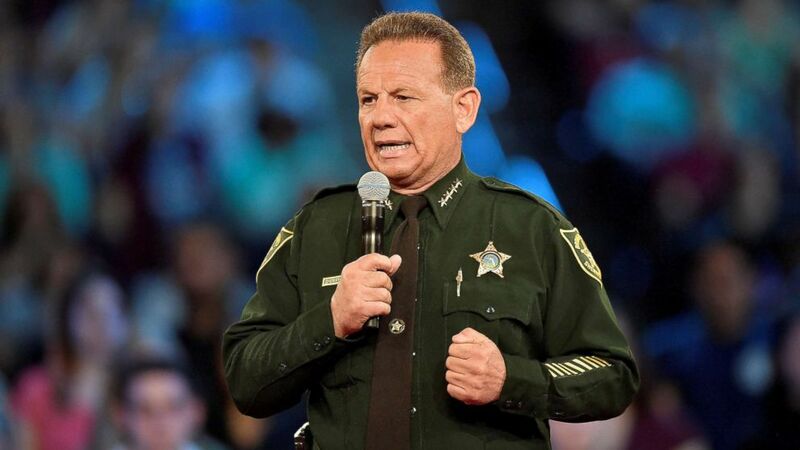 camera (Michael Laughlin/Reuters, FILE) Broward County Sheriff Scott Israel speaks before the start of a CNN town hall meeting at the BB&amp;T Center in Sunrise, Fla., Feb. 21, 2018. Seven months before he shot and killed 17 people at Stoneman Douglas High School in Parkland, Fla. in February, Nikolas Cruz posted a photo of his arsenal on Instagram, prompting Broward County Sheriff Scott Israel to describe Cruz’s social media content as “very, very disturbing.” The FBI published a statement revealing they had received a complaint about Cruz’s “disturbing social media posts” a month before the shooting in Parkland, but investigative steps were not taken. In the wake of these latest shootings, authorities have raised the question of collecting information from content shared online, once again putting law enforcement officials and social media companies on opposite sides of the debate over the balance between security and privacy. 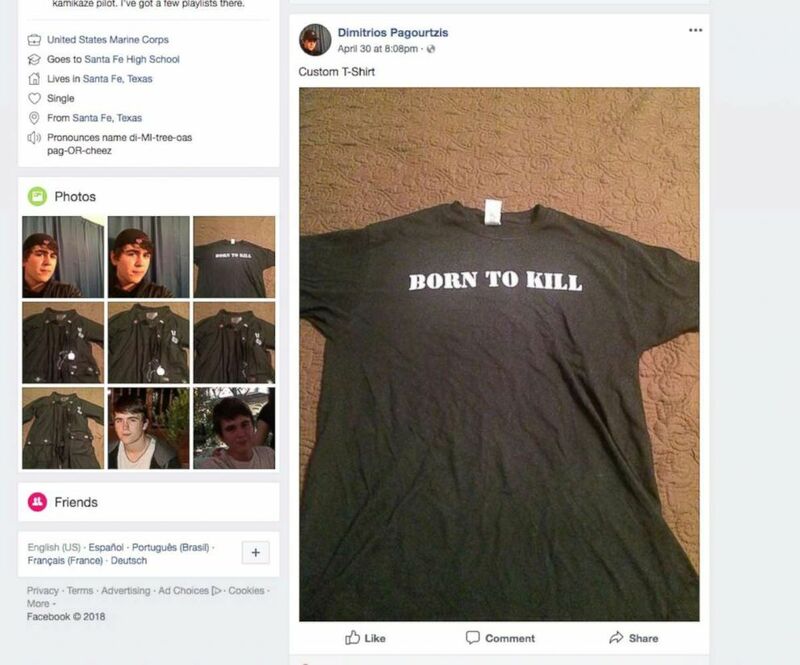 (Facebook via USA Today Network) A t-shirt with the words "Born To Kill" is pictured in a screenshot from the Facebook account of Dimitrios Pagourtzis, the suspect in the shooting at Santa Fe High School in Santa Fe, Texas, May 18, 2018. But law enforcement officials told ABC News that restricted access to social media monitoring tools is jeopardizing public safety. Israel, for his part, has encouraged lawmakers to allow police to detain someone if they see graphic images or other disturbing content posted online. "Criminals, terrorists and foreign intelligence services are using social media as they engage in illegal activities,” said John Cohen, ABC New contributor and former top official with the U.S. Department of Homeland Security. “Law enforcement efforts to prevent and investigate crime and national security threats would be greatly aided if authorities were able to use the same commercially available aggregation and analytic tools increasingly used by marketing firms. Unfortunately, many social media companies have mostly worked to prevent law enforcement authorities from using these tools." According to Facebook, its policies universally bar developers using its platform from selling data obtained from their 2.2 billion active monthly users to any entity, including law enforcement. “We enforce our policies fairly and don't allow anyone to use information....to build profiles, sell access to our tools or data, or carry out surveillance,” a Facebook spokesperson told ABC News. The company declined to discuss specific concerns that have been raised by law enforcement officials. When Facebook CEO Mark Zuckerberg testified before members of Congress in April, he answered questions about user data and privacy, prompted by the revelations that Cambridge Analytica, a U.K.-based data mining firm, allegedly misused Facebook data from up to 87 million of the platform’s user profiles prior to the 2016 presidential campaign. In response, Facebook announced a number of restrictions that limit app developers’ access to data. Law enforcement officials said they don’t understand why social media companies would allow political consultants to access and monitor their data but keep the authorities out. Over the past few years, third-party developers have come under fire for providing law enforcement and counter-terrorism organizations with access to data aggregation tools that scan through large quantities of social media posts. 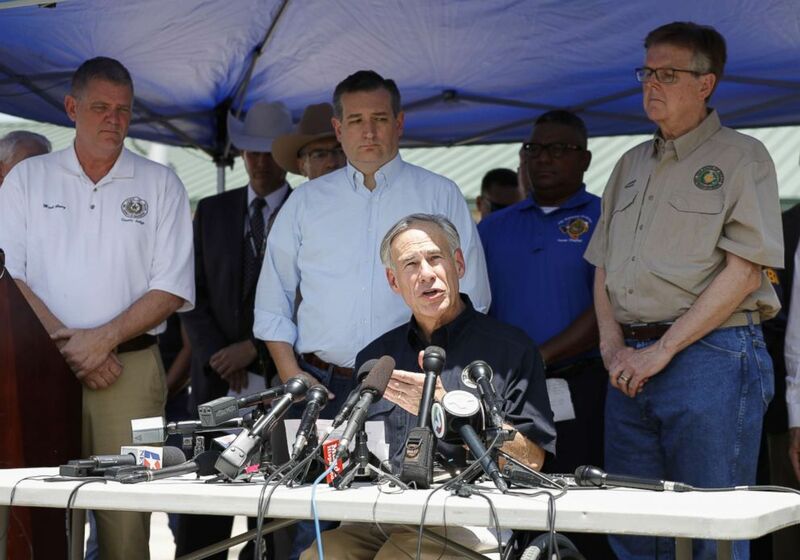 (Bob Levey/Getty Images) Galveston County Judge Mark Henry, Sen.Ted Cruz, Texas Gov. Greg Abbott and Texas Lt. Gov. Dan Patrick speak to the media during a press conference about the shooting incident at Santa Fe High School on May 18, 2018 in Santa Fe, Texas. At least 10 people were killed when a gunman opened fire at Santa Fe High school. The ACLU of Northern California has been at the forefront of this debate. In December 2015, the organization criticized the Fresno police’s use of MediaSonar, a social media surveillance software that allegedly encouraged the surveillance of hashtags such as #blacklivesmatter, #dontshoot, and #imunarmed. At the time, Fresno police Sgt. Steve Casto told the Fresno Bee the department used tools such as MediaSonar to monitor publicly available data for evidence of violent crime and terrorism and never searched for terms related to the Black Lives Matter movement. In September 2016, the ACLU of Northern California urged Facebook, Instagram and Twitter to cease providing data access to Geofeedia, a developer of social media monitoring products that was marketed to law enforcement as a tool to track activists and protesters. In an email statement to the Chicago Tribune, Geofeedia CEO Phil Harris Phone wrote that despite policies to prevent inappropriate use the of the software, the company “must continue to work to build on these critical protections of civil rights.” On Oct. 11, 2016, Geofeedia posted on Twitter for the last time: “We are committed to free speech & civil liberties. Also support a balanced approach with our technology,” and included a currently expired link to a blog post. Numbers previously associated with Geofeedia are no longer active and, despite multiple attempts, Harris could not be reached for comment. The next month, the organization reported that a number of federally funded fusion centers -- institutions that collaboratively analyze and share intelligence to respond to criminal and terrorist activity -- were using tools provided by Dataminr for surveillance purposes, including keyword searches and location-based tracking. In response, Dataminr committed itself to restricting government customers’ access to user data, providing them with a limited version of its product that cannot be used for surveillance. After the ACLU of Northern California reported these findings, Facebook, Instagram, and Twitter emphasized that no one is allowed to use the data for surveillance, including law enforcement. As a result, police agencies were barred from using tools that collect information shared on these platforms, even if the collection is done by outside developers. Amie Stepanovich, U.S. Policy Manager at Access Now, a public policy and advocacy group focused on digital rights, said users don’t expect law enforcement to use high-tech tools to analyze their social media information beyond what can be observed publicly. For example, Stepanovich explained, analyzing a user’s geographic tags for patterns can reveal where that person may live or work. In the shifting technological landscape, Stepanovich maintained that law enforcement’s access to social media user data must be strictly limited. 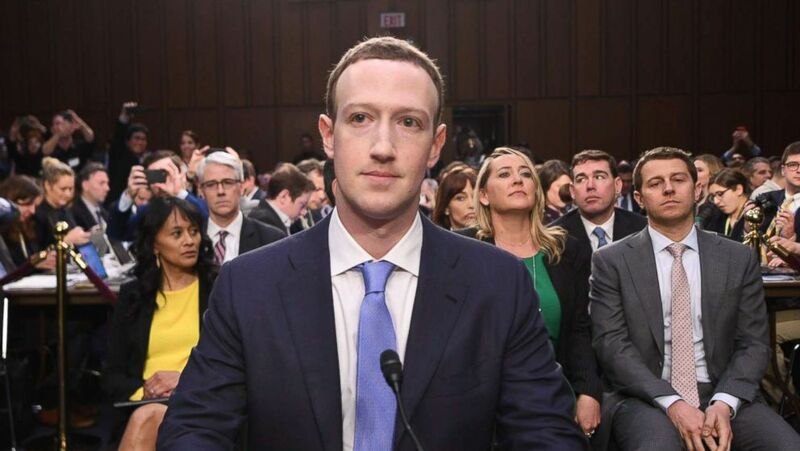 (Jim Watson/AFP/Getty Images) Facebook CEO Mark Zuckerberg arrives to testify before a joint hearing of the Senate Commerce, Science and Transportation Committee and Senate Judiciary Committee on Capitol Hill, April 10, 2018. Facebook’s procedure for releasing account records to law enforcement requires a subpoena, court order or search warrant. The company also accepts emergency requests for situations “involving imminent harm to a child or risk of death or serious physical injury to any person and requiring disclosure of information without delay.” Twitter also has a procedure in which law enforcement officials can request the disclosure of information in emergency situations. On May 15, Facebook published a new transparency report, showing the company received 82,341 government requests for account data globally from July to December, 2017. About 7.5% of those inquiries were emergency requests. In the aftermath of the shooting at Stoneman Douglas High School, the head of a key Silicon Valley organization testified before the Senate Judiciary Committee to defend industry’s work in helping police prevent the types of tragedies that have become all too common. Beckerman emphasized the important role social media users play in identifying threatening content. Mike Sena, president of the National Fusion Center Association, said bulk monitoring social media is a key component and law enforcement cannot do its job properly without it. Editor's note: Updated with comment from the Fresno Police Department.